CHRISTMAS is approaching fast and the all too familiar feeling of pressure on our wallets is coming around quick. The last thing you want at Christmas is the burden of how you’re going to pay for your loved ones Christmas presents or how you’ll afford the turkey. There are certain things you ought to try to avoid when you pay for Christmas to make sure you don’t start a new year with bad debt hanging over you. It sounds obvious but before you start spending, if you’re going to have to borrow make a conscious effort to spend less. This doesn’t mean people will think you’re Scrooge; you just need to be savvy. By making tweaks to how you pay for things, you’ll save yourself money and avoid the 2018 Christmas hangover. Hannah Maundrell, Editor in Chief of money.co.uk revealed the best and worst ways to pay for Christmas. Store cards: Not to be confused with loyalty cards, store cards are often flogged at the till with the promise of 10% off your next shop and the chance to pay later. Store cards can come with some benefits like discounts or invites to events, however if you're using them as a form of borrowing they are a big no. If you haven’t saved enough for Christmas and plan to use store cards to pay for your shopping, it’s one of the most expensive ways of borrowing. You’ll end up paying much more for your goods in the long run so try to avoid store cards at all costs. Unauthorized overdraft: Unless you have a pre-arranged interest free overdraft avoids using them as much as possible. Going into an unauthorized overdraft, or over your limit could cost you dearly. There are lots of different fees you could be charged including daily fees which can be anywhere between £1 and £8 a day (with a monthly cap). This is not a cost-effective form of borrowing and you could wind up paying double for your goods if you can’t pay back your overdraft quick enough. High interest credit cards: If you’re using a credit card that charges you monthly interest – stop. If you already owe money on the card you could use a 0% balance transfer credit card to move that sum into an account that doesn’t accrue interest for a certain number of months. This would give you the chance to pay it off without the amount continuously rising. Using a credit card that charges you interest should only be used if you’re disciplined enough to pay the full amount off at the end of the month. Money you’ve saved: Ideally we’d have all saved enough to pay for Christmas entirely upfront. If you have been squirreling away this is great, you won’t need to borrow, however if you’re disciplined you could still consider using a credit card to pay for your purchases to get section 75 protection. Section 75 protection means your credit card provider is equally liable if things go wrong meaning they can help you get your money back if your goods cost over £100. 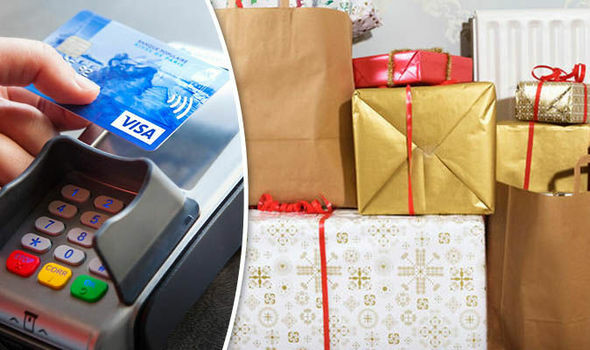 0% purchases cards: These credit cards let you borrow interest free for a certain number of months which is great if you haven't saved enough and they can help you spread the cost of Christmas. You still need to keep up with your monthly payments and make sure you can pay off the card in full before the end of the interest free period. If you take one out make a note in your diary to make sure you’re all paid up before the interest kicks in. Rewards credit cards: If you have the money to pay for Christmas upfront but want the reassurance of Section 75 protection then a rewards credit card could be a good choice. These cards offer you different benefits depending which you go for like supermarket or Avios points or even cash back. They are only a good choice if you know you will be able to pay off your balance in full at the end of each month. While retirement may not be on your mind currently as an entrepreneur, the sooner you start planning for this milestone, the better. Before anything else, you need to consider the ways that you will be able to save for your retirement while also keeping your business running today. So, what tips or tricks can you employ to ensure that you will be financially able to retire when ready?